Another quick bread recipe to use that sad looking banana together with heart healthy oatmeal. 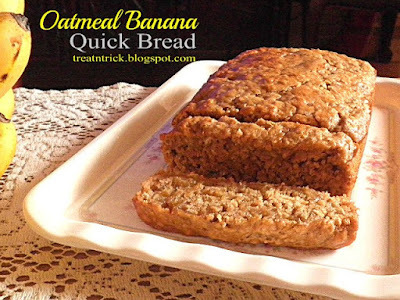 This egg free Oatmeal Banana Quick Bread is great for breakfast or afternoon snack. Bake this bread in advance, cool and cut into slices just in time to have your morning meal. .
Banana in this recipe enable me to cut down sugar and at the same time moisten the bread. Only added half a cup of brown sugar. Similar to other quick bread, this Oatmeal Banana Quick Bread is ridiculously easy to make. Baking time may vary, so check the bread by inserting a skewer in the center. 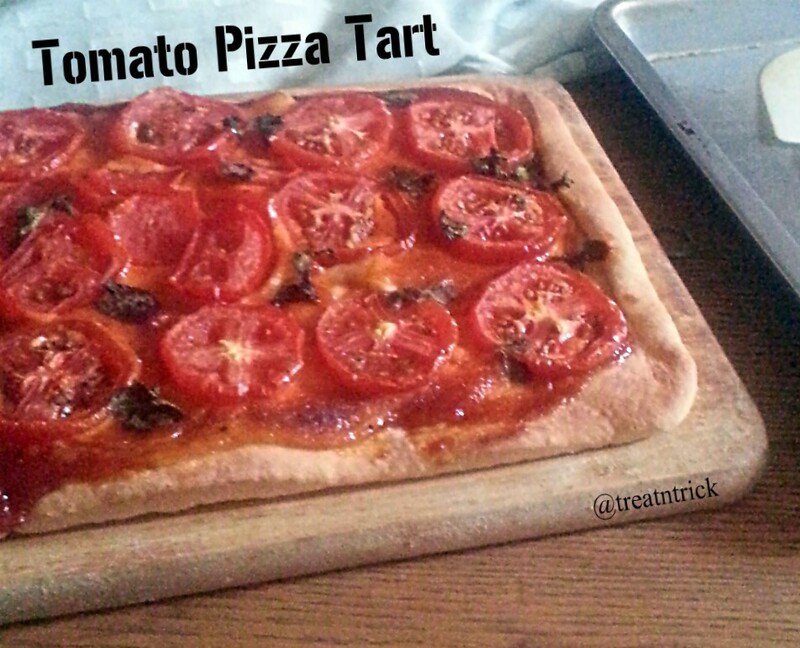 If it comes out clean, remove from the oven. Leave in pan for 10 minutes before transferring onto rack to cool. 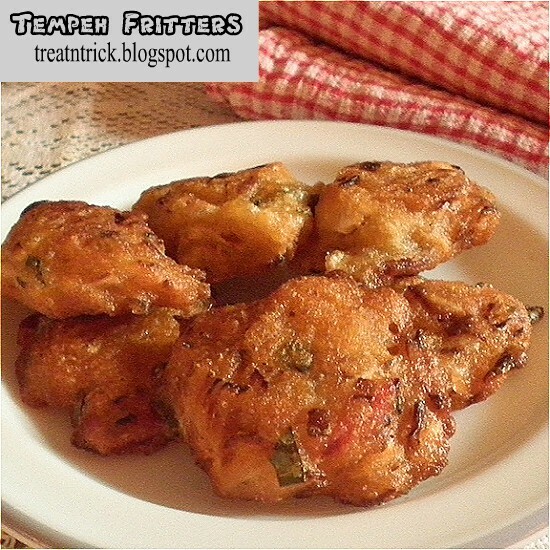 Fritters or cucur are popular in Malaysia, Singapore and Brunei normally fried in hot oil serve during breakfast or tea time like this Tempeh Fritters/Cucur Tempeh. With just a basic ingredients of flour, water and salt, you can make them sweet or savory. 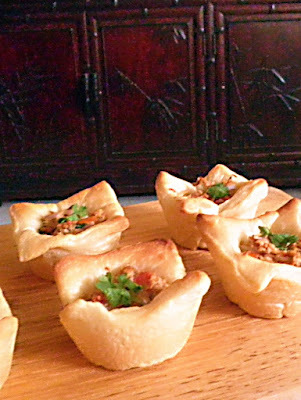 Other variations include prawn,chicken or meat to the batter. 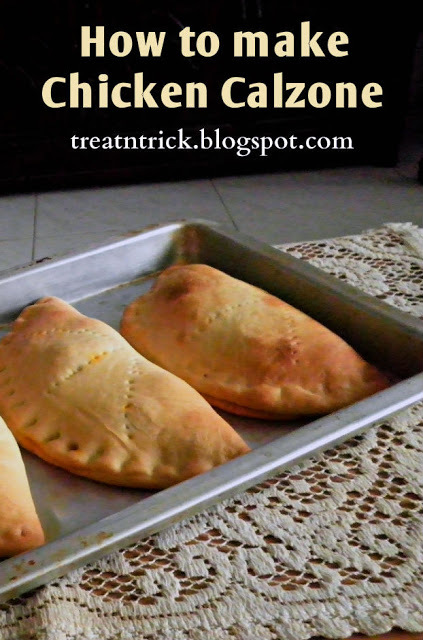 Use self rising flour if you have but omit the baking powder. 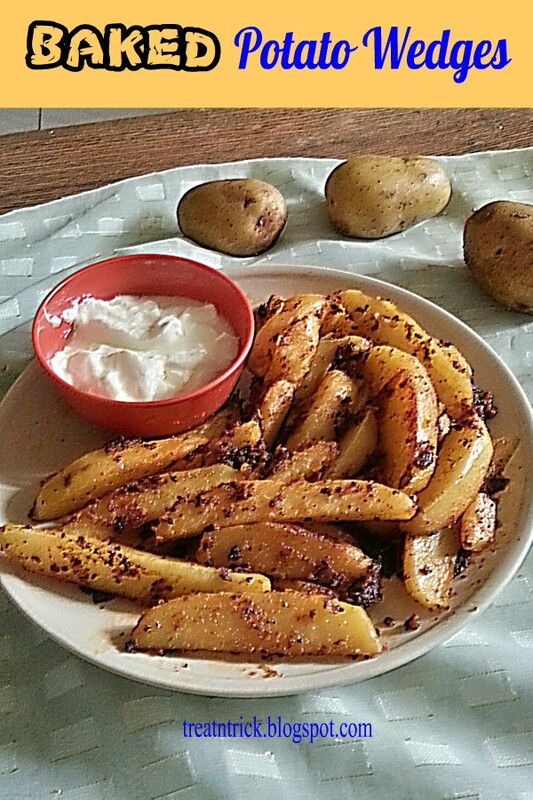 Omit chili powder or reduce it according to your preference. 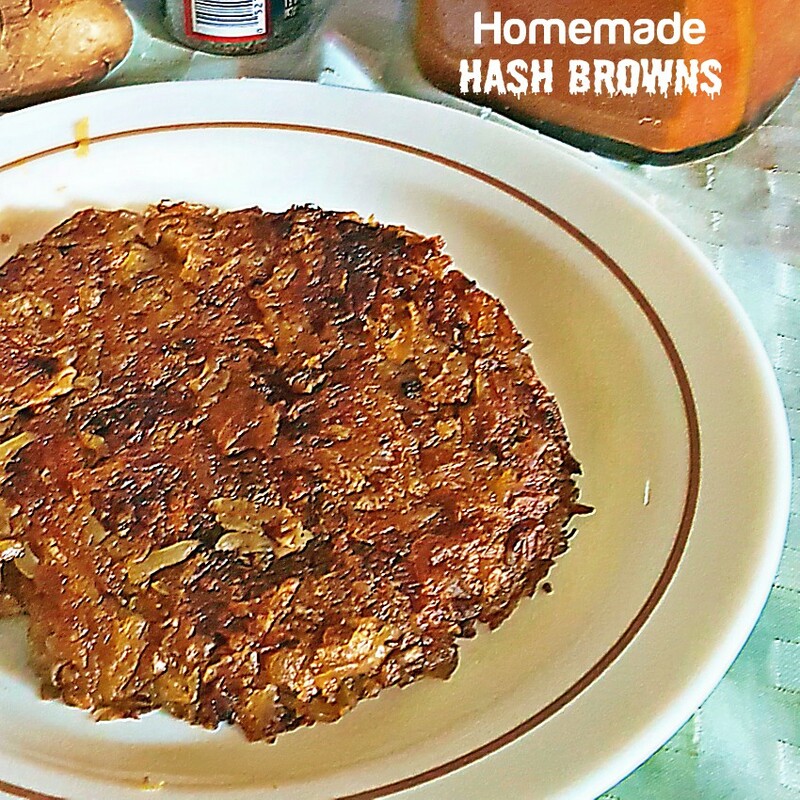 When frying the Tempeh Fritters/Cucur Tempeh, use a medium heat so it doesn't turn brown fast but inside still uncooked. Also do not crowd the pan, give room for you to turn them if one side turns golden. 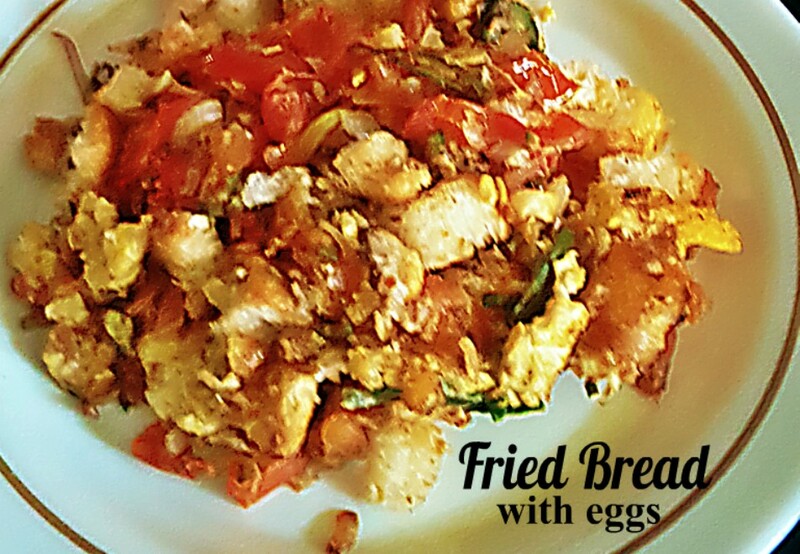 Serve with chili or tomato sauce but I prefer to eat them as it is. 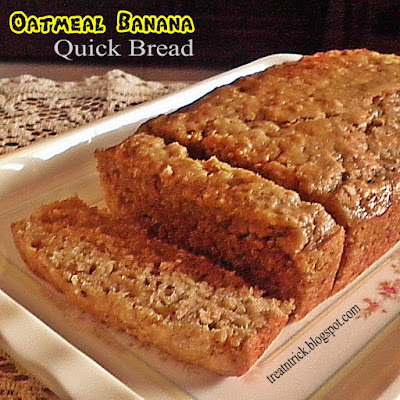 Quick bread is always a perfect choice if you are in a hurry but still want to bake your own. This Easy Coconut Bread will do just that. 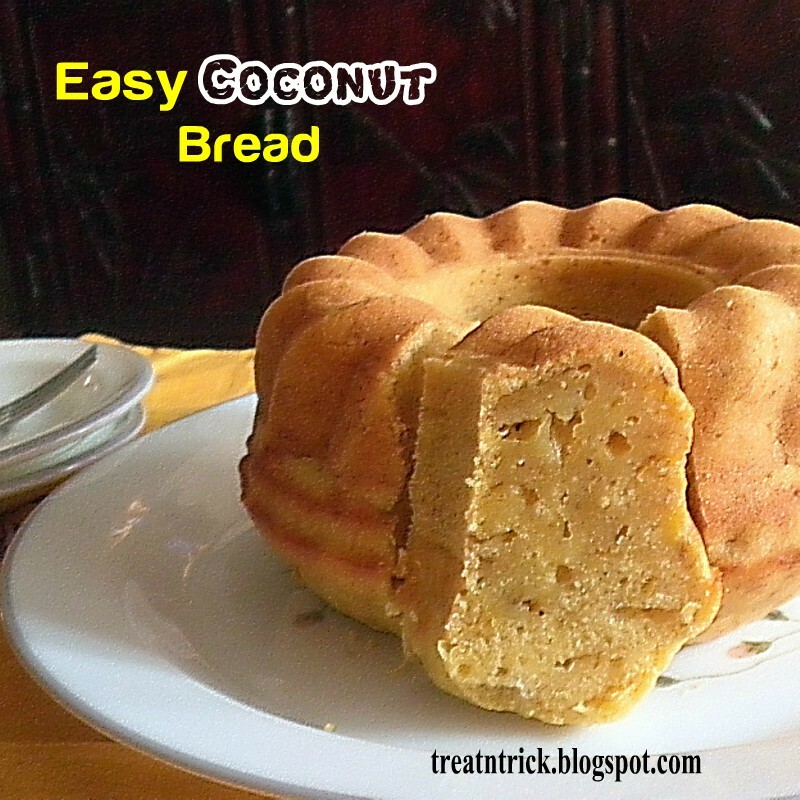 You can bake this bread in loaf or bundt pan, Instead of milk, substitute it with coconut milk if you prefer. This Easy Coconut Bread recipe particularly scrumptious and could not be easier to make. Quick bread needs no kneading and waiting, It is leavened with baking powder or baking soda. These include muffin, scones, tea bread including pancake too. 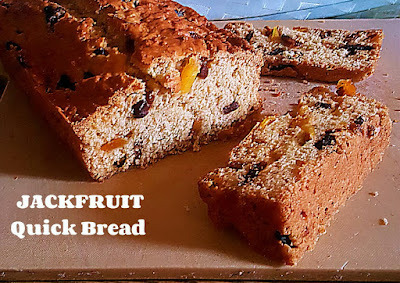 A clever way to use those stale bread is to turn them into dessert or savory meal. 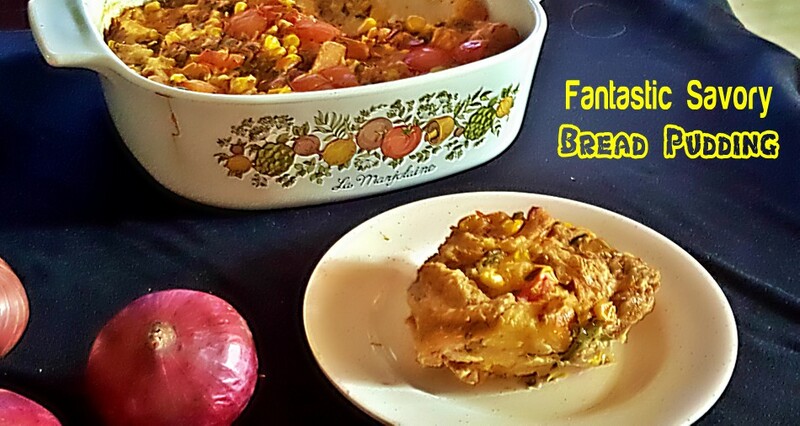 I made this Fantastic Savory Bread Pudding loaded with vegetables. 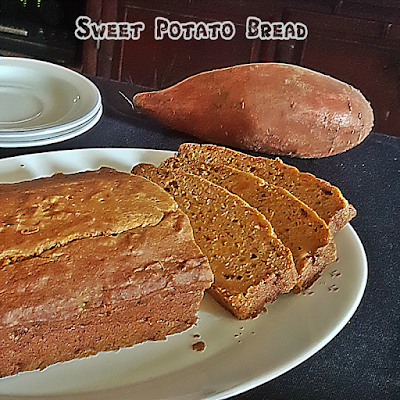 At last, my wholemeal bread loaf transforms into a healthy food that my family enjoy. Added capsicum, corn kernel and tomato but other veggies would work too. Heat for one minute on high in microwave for the frozen corn before adding them to the bread mixture. Due to overwhelming response on my Fried Bread with Eggs Recipe and request for more similar recipe, created for all of you this Fantastic Savory Bread Pudding. .
A homemade sweet potato bread that is moist, soft and super easy to put together without yeast. . 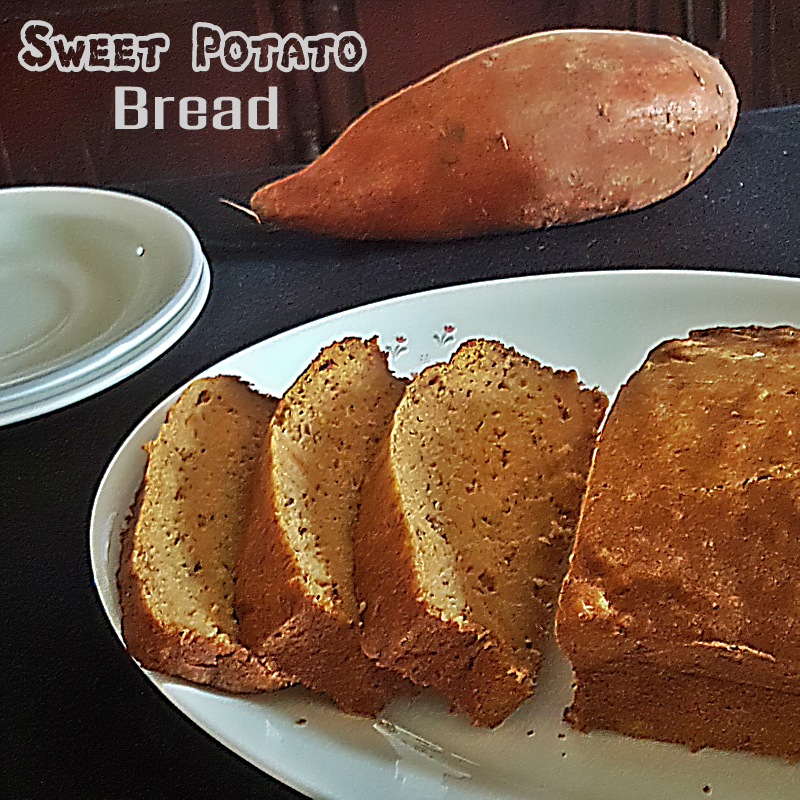 Since my family does not like overly sweet bread, I use just a quarter cup of sugar but add a cup if you like it sweeter. Also replace 3.4 cup of plain flour with whole wheat flour. 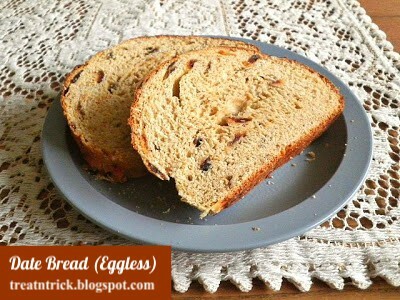 Like most quick bread recipe, it is done using a whisk. Firstly, combine dry ingredients in a mixing bowl. Whisk together the wet ingredients in a separate bowl. Combine the two, stir until just moistened and spoon into prepared pan. Baked this Sweet Potato Bread exactly 50 minutes but it varies according to individual oven so adjust accordingly. 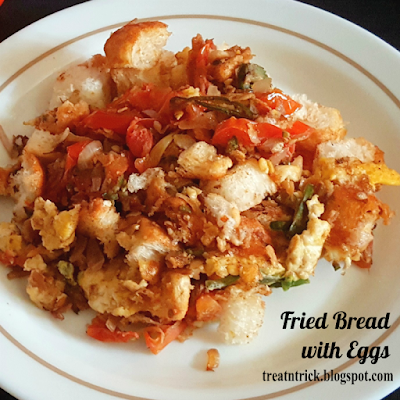 Simple fried bread with eggs for a delicious meal of the day. 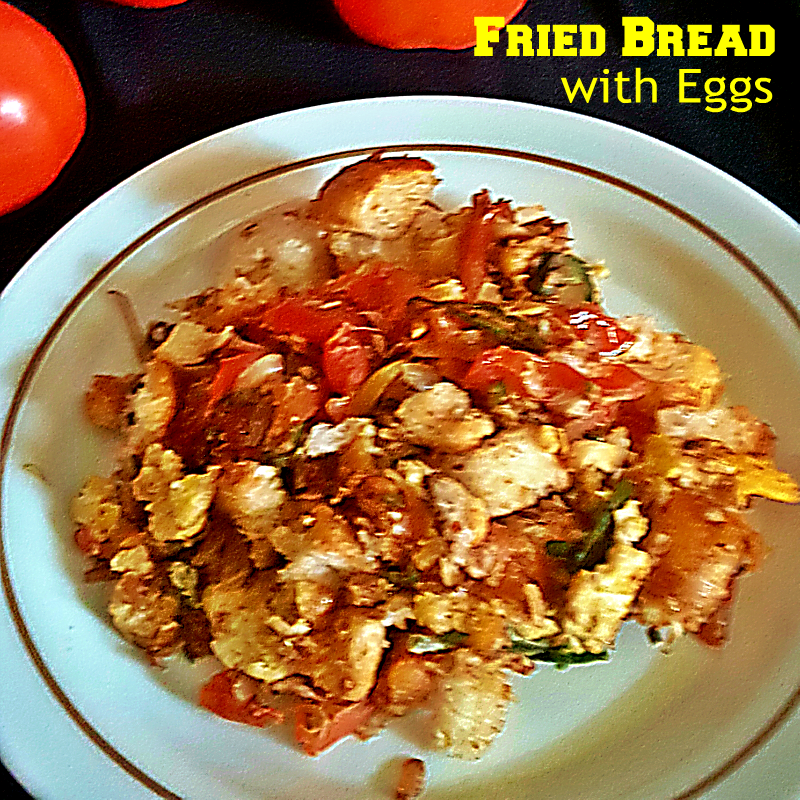 I have few loaves of baguettes at home, so I created this Fried Bread with Eggs for our breakfast today. 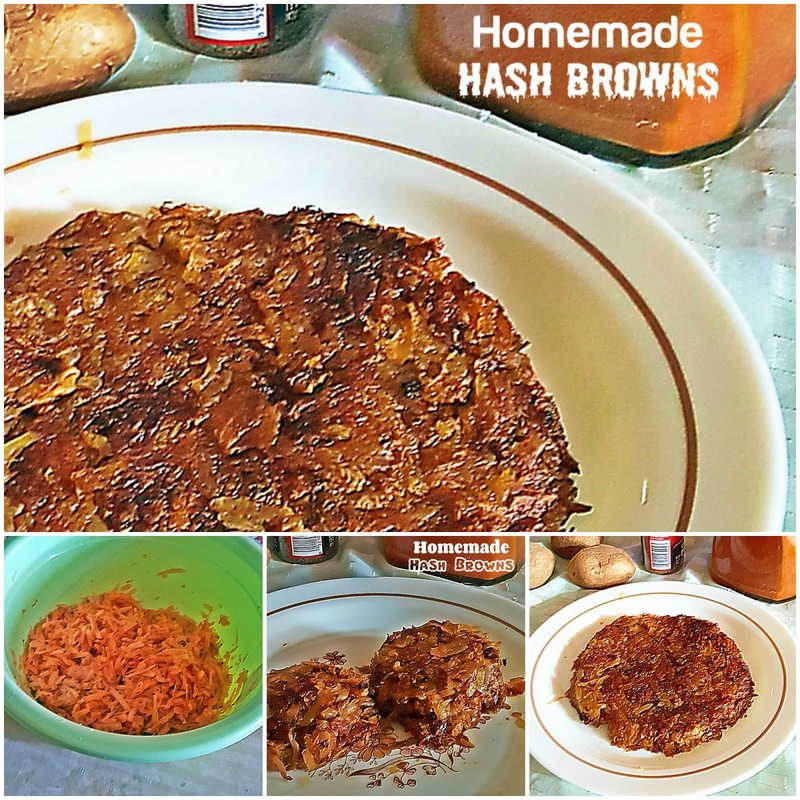 It is simple to make and so yummy. 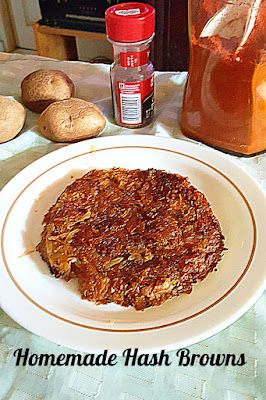 You can make it even better by adding cooked minced meat, chicken even tuna along with other ingredients. Not only baguettes but you could use other types of bread too. 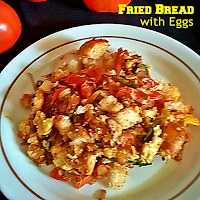 For a richer ones, lightly fried the bread in butter first before adding the rest of ingredients. 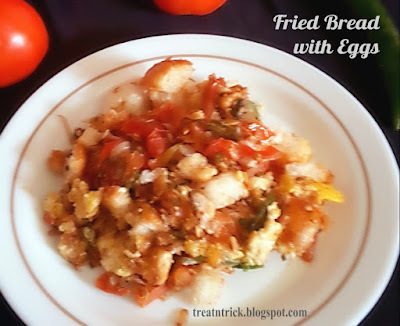 Just a basic ingredients this Fried Bread with Eggs are simply amazing! Worth to make again. 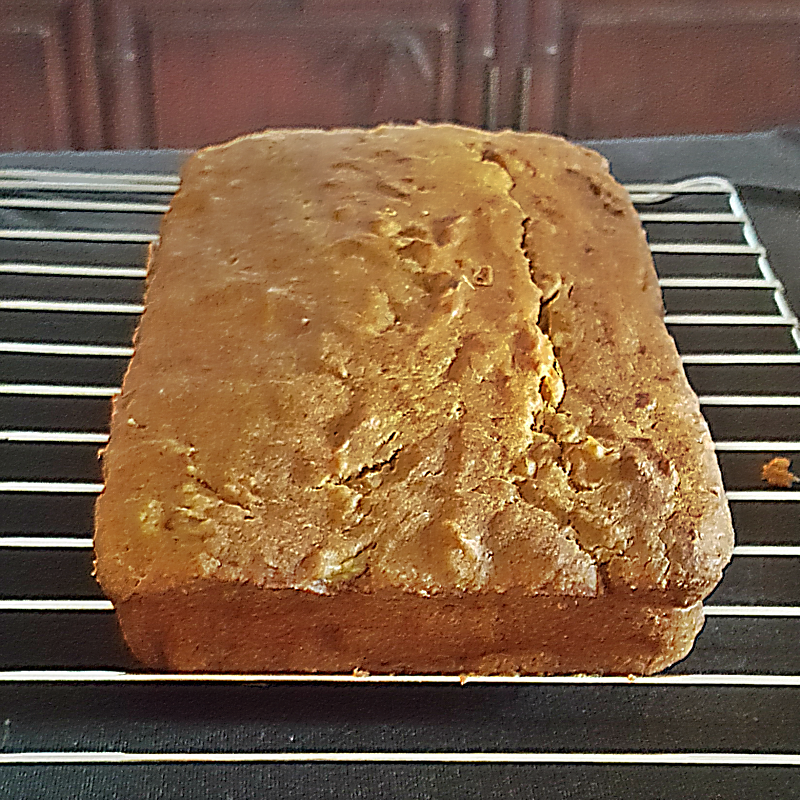 After a long gap, I have baked a muffin recipe. 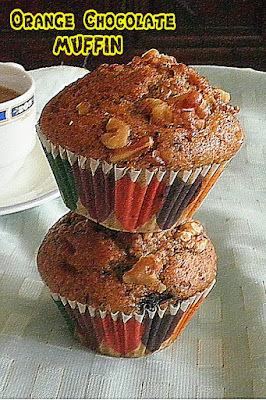 This Orange Chocolate Muffin was a easy and make ahead so they can be served for morning breakfast,. 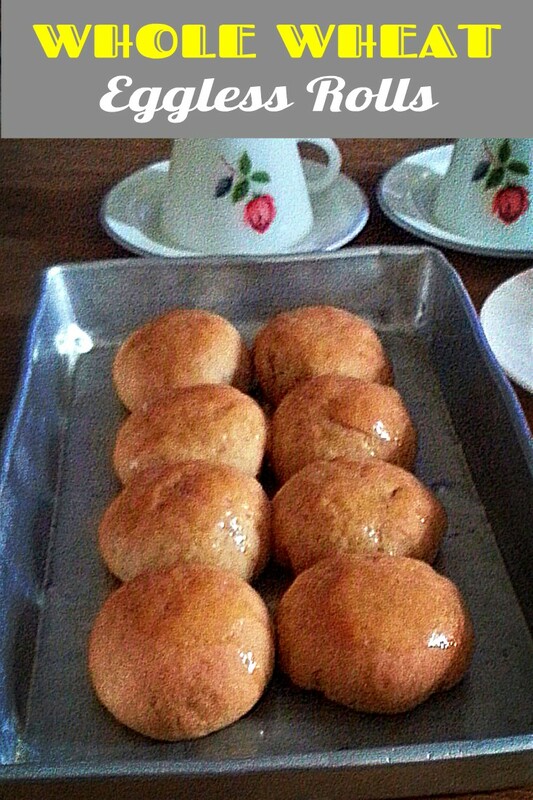 Always prefer to bake a muffin or quick bread to serve my family for their first meal of the day. 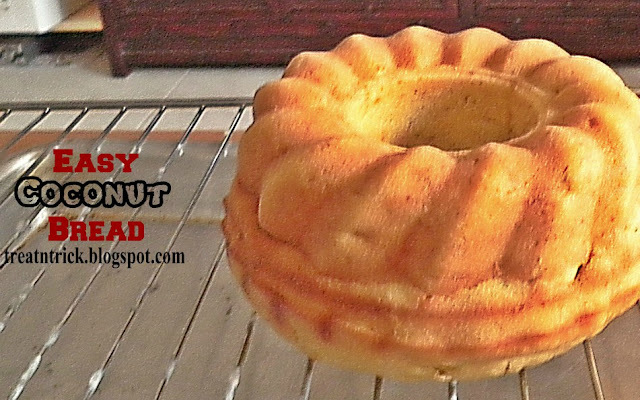 They are exceptionally easy, mostly stir and fold method, no mixer needed. 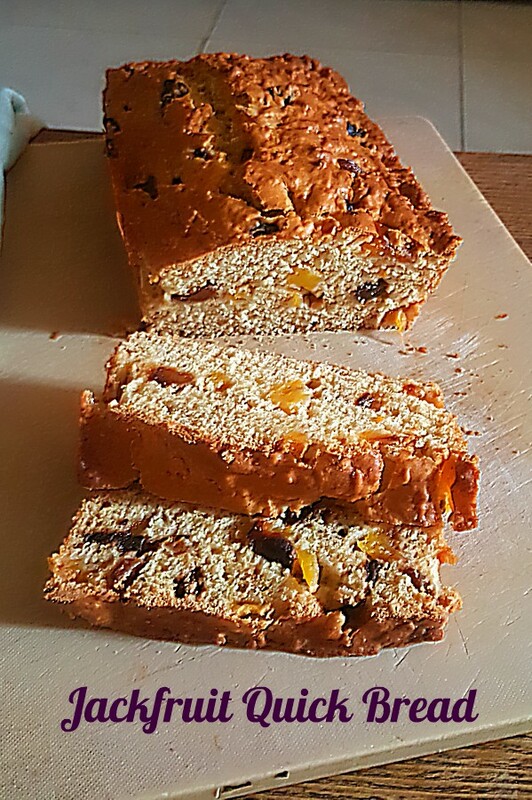 You can include any fruit available at home add chopped nuts if you like, I have added chopped walnut for topping. 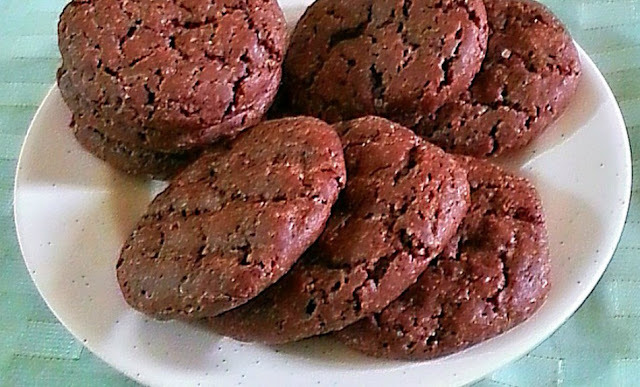 These portable snack can be stuffed in your kid's lunch box instead of store bought ones. 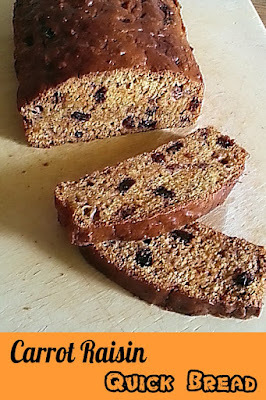 Chopped chocolate bar is being used here but semi sweet chocolate chips work as well. Orange Chocolate Muffin does not use butter but still they turned extremely moist. An easy recipe of quick bread using tropical fruit, jackfruit. As I have a balance of jackfruit, am thinking what to make out of this fruit which was rich in dietary fiber, minerals and antioxidants. 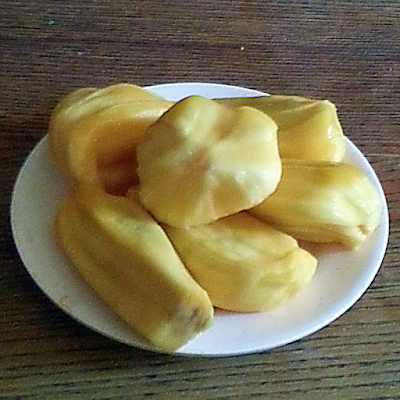 Jackfruit has a intoxicating aroma and a seed, Before baking, Jackfruit Quick Bread, remove the seeds then chopped into small chunks. I only used a cup since that was what I have. 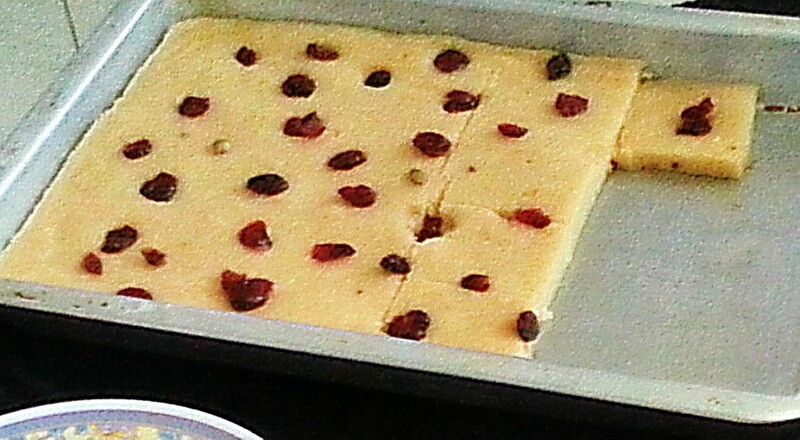 Also opt for lesser sweet version by adding half a cup of sugar. 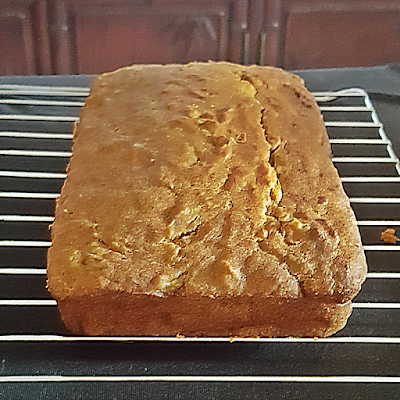 The batter is a bit thicker but don't worry it baked to perfection in 50 minutes flat. 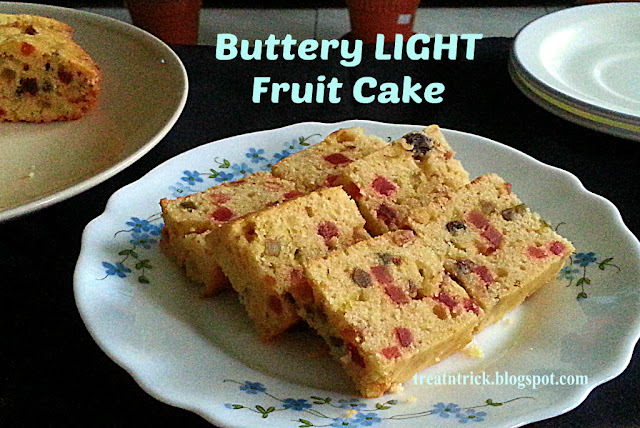 You may check the Jackfruit Quick Bread after 50 minutes using a cake tester. If you;re a vegan, replace butter with oil, and eggs with 2 mashed banana or 1/2 cup unsweetened applesauce. If you like nuts, add about half a cup of chopped walnut or pecan. Super moist bars loaded with banana flavor and top with chopped walnuts and chocolate sprinkles. 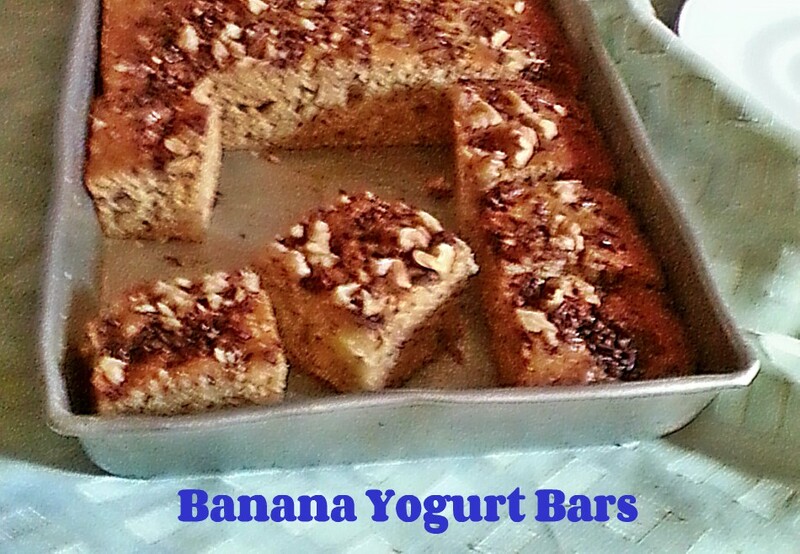 These Banana Yogurt Bars have a cake like texture but uses only 1/4 cup of sugar. This amount is more than enough for me but you could increase it for a sweeter version. 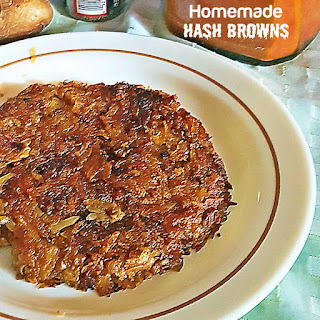 We use oil for this recipe also plain low fat yogurt. Replace with buttermilk or sour cream if you're running short of yogurt. These make ahead Banana Yogurt Bars are not only delicious but also healthy because it uses a minimal amount of sugar and oil. They were baked to perfection can be customize according to your preference. You would be amazed to know, how this humble banana would do to your health. It has about 10 percent of your daily fiber requirement. 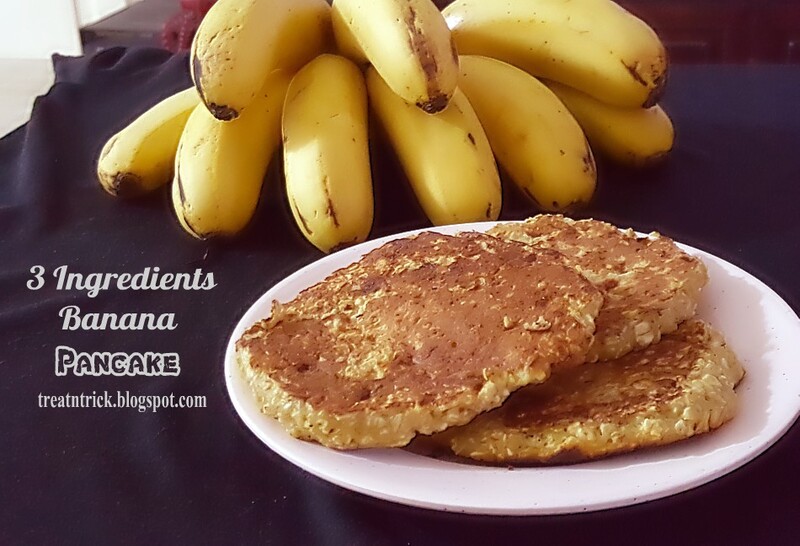 Banana contains essential vitamins and minerals. such potassium, calcium, magnesium, pectin and many more. Potassium can help lower blood pressure. magnesium is also important for heart health. Consumption of high fiber foods could lower the risk of cardiovascular and coronary heart diseases. Rich in pectin. banana is a natural detox. It flushes out toxin from your body through urine. 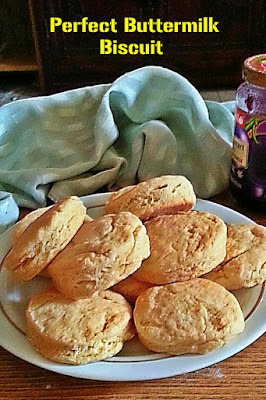 Super soft and buttery biscuit , fresh from your oven are made with 6 ingredients you probably have in your pantry. 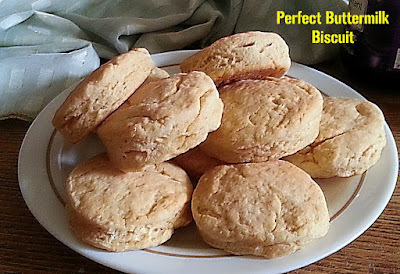 This Perfect Buttermilk Biscuit was a perfection. I don't even need to add additional flour to the dough, The ratio of buttermilk was so precise. 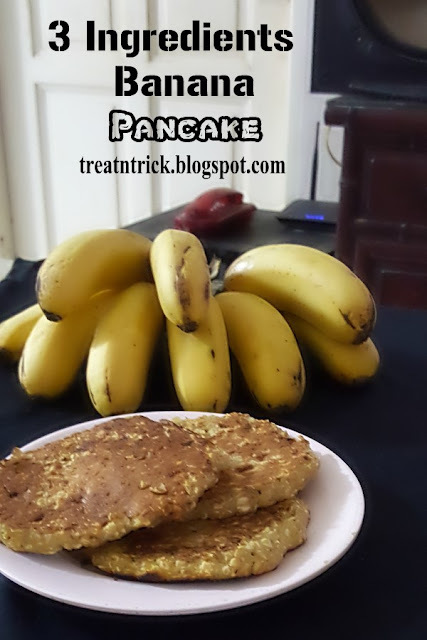 In case you're running out of buttermilk, replace it with regular milk or make your own buttermilk by adding 3/4 tablespoon of vinegar or lemon juice to the milk. Stir and ready to use. Left out baking powder if you are using self rising flour. Make sure you do not over handle the dough. I have made mine into 1/2 inch thick but for a thicker ones increase to 3/4 inch. 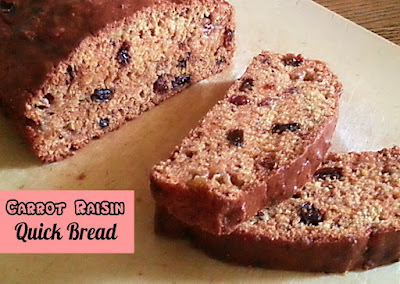 If you're looking for a fast and easy bread, you should look out for quick bread that needs no kneading and no rising like this Carrot Raisin Quick Bread. 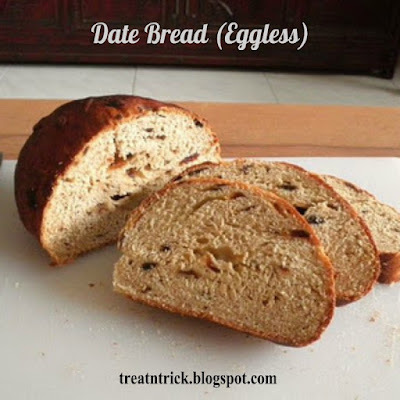 This bread also was egg free. 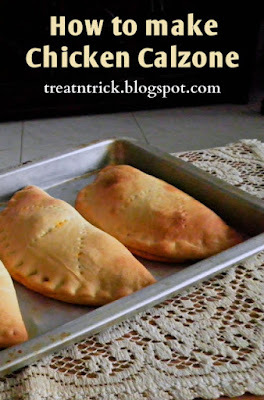 As for the flour part, used a combination of plain flour plus whole wheat flour. I grated the carrot using a box grater and used evaporated milk, but you could sub that with regular milk if unavailable in your country. Carrot Raisin Quick Bread turns out incredibly moist, easy to slice and took exactly 50 minutes to bake. A wonderful and healthier way to enjoy potato wedges is by baking them in an oven. I have boiled them for 5 minutes or about 3.4 cooked prior to baking. Prick with fork to see Baked Potato Wedges are done. 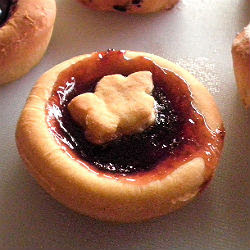 We would complete the process by baking them. With this method it allows you to reduce cooking time. 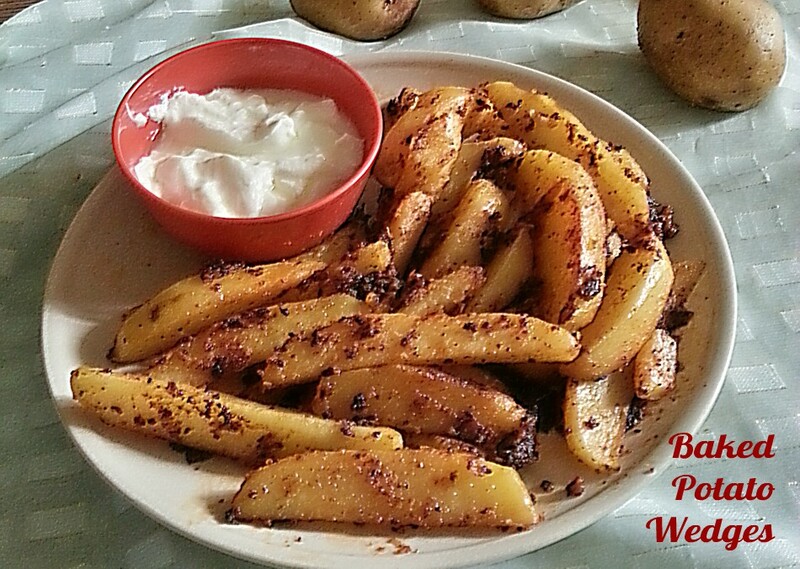 These Baked Potato Wedges have some heat due to the addition of pepper and chili powder. If you are serving small kid, you may reduce or omit those altogether. There are more than pizza you could made out of it. And these 6 delicious recipes out of pizza crust prove it! Click on each title to view full recipe.. 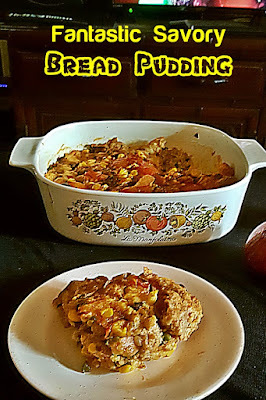 If you are looking for savory treat, you should try this, stuffed with chicken. 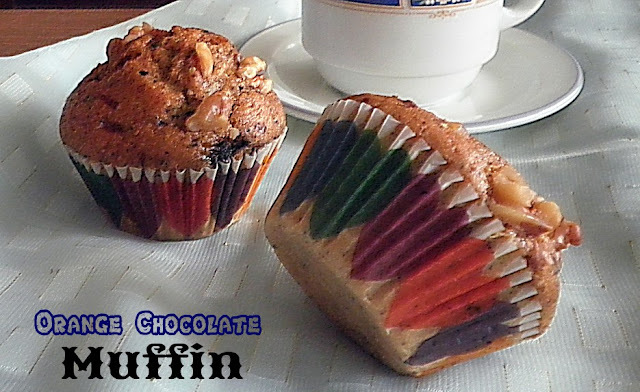 Feel free to stuff with a variety of fillings of your choice. 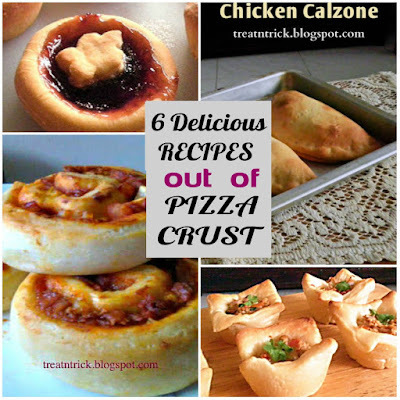 Omit chicken and replace with veggies with cheese if you are vegetarian. .
Made with yeast free pizza dough The dough is super easy to work with. You may choose other shapes of your choice. 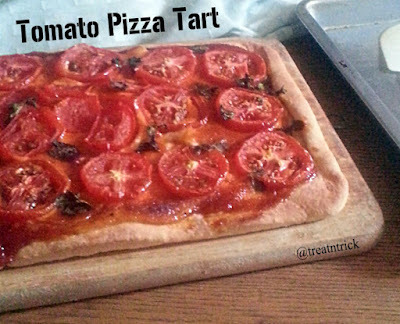 A simple savory tomato tart made with juicy tomatoes, topped with cream cheese, mayonnaise, tomato sauce, salt and pepper. Play around with cheese or herbs option but this basic recipe is timeless. 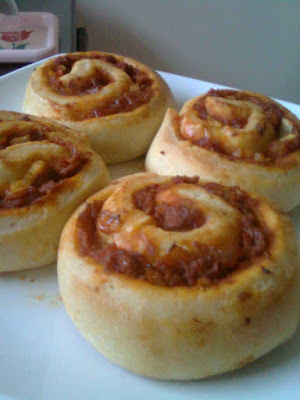 These rolls taste exactly as regular pizza but the only difference is that it comes in rolls with a filling of your choice. 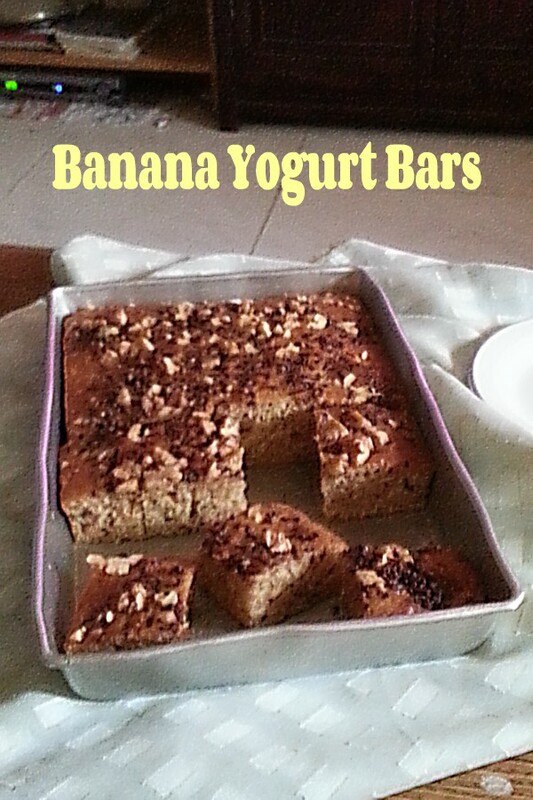 They are practically great for parties, snack or lunch box. Another quick way to enjoy your breakfast without spending hours making it is to make this Sheet Pan Pancake with cranberries. 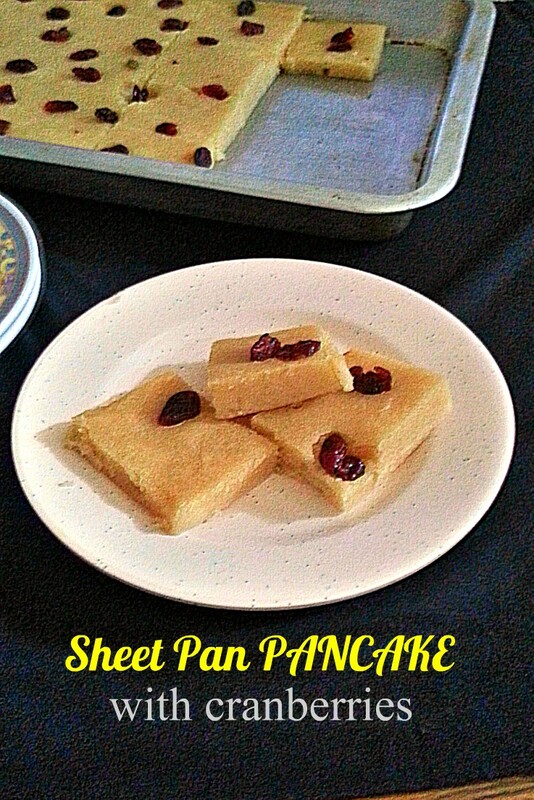 This Sheet Pan Pancake with cranberries is also egg free, adjust the sweetness to your liking. Make it lactose free by using soy or coconut milk in place of milk. 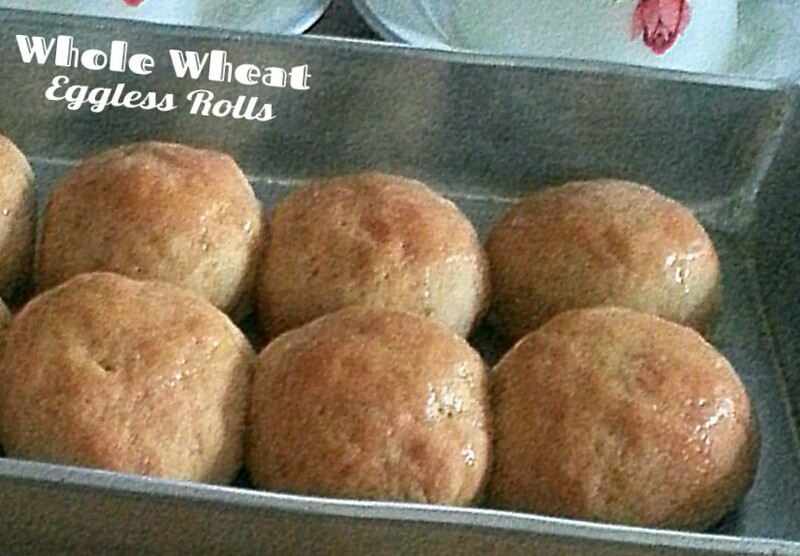 Make a healthier option by making these Whole Wheat Eggless Rolls for your family. 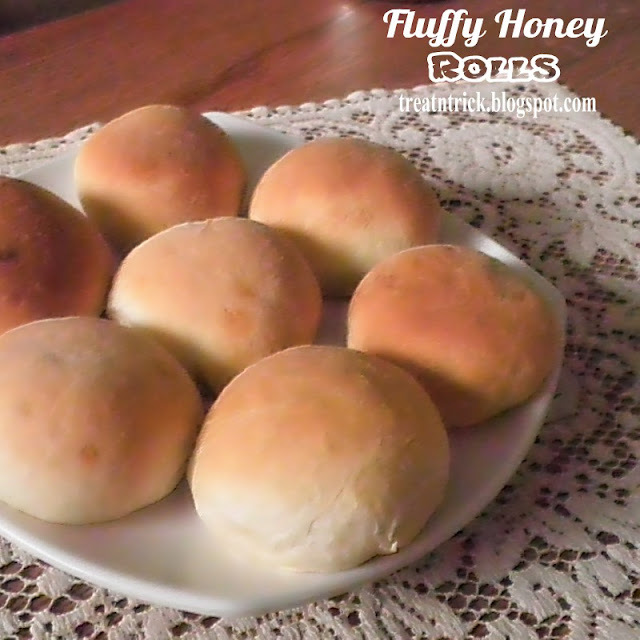 Am reluctant to bake yeast rolls using whole wheat flour as they would be hard and tough. 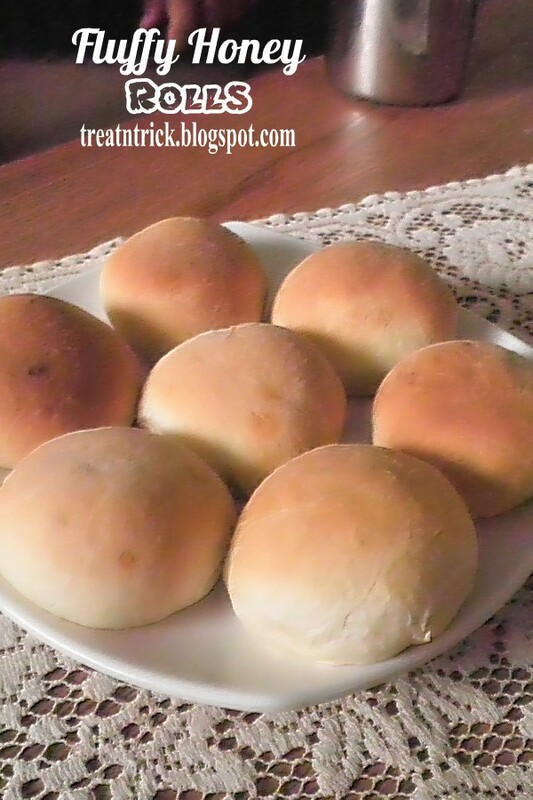 All that has changed ever since I tried these Whole Wheat Eggless Rolls Not only they are healthier but stay soft for days, I have kept a small piece just to test how these rolls would be. The steps are simple quite similar to regular flour. You can double the recipe and make one big loaf. I only get 8 rolls out of this recipe and let the dough rises for 2 hours before shaping. 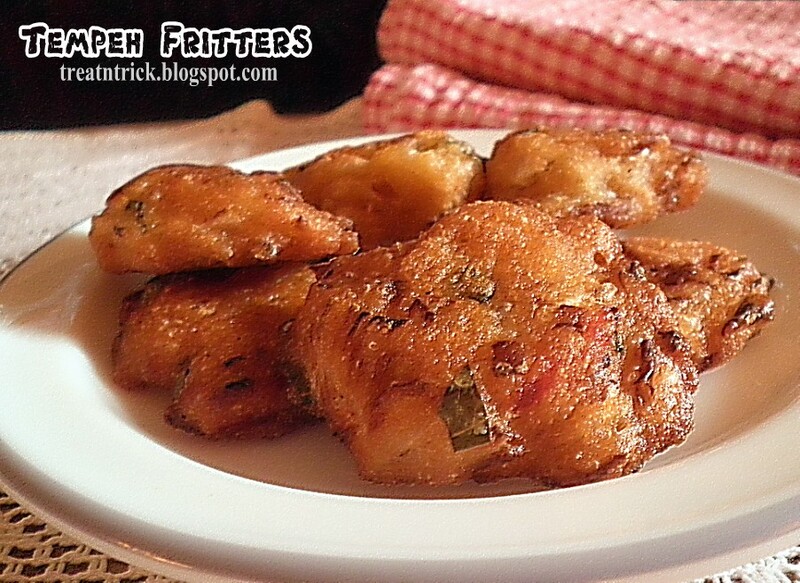 This recipe contains least butter or oil yet they turned out crispy but soft inside. You can use brown sugar instead of white sugar. 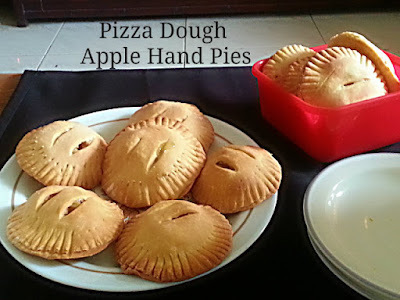 It yields a soft and sticky dough so it requires chilling it for 1 - 2 hours. Once it became firm, much easier to shape them. 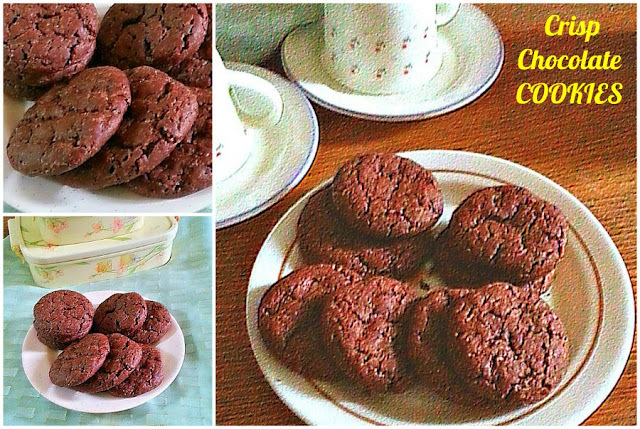 It is important to place Crisp Chocolate Cookies at least 2 inches apart on greased baking sheet. They really spread and become thinner so adjust the thickness you want them to be..